Besides, the Inclusive Resource Center hosted a meeting of Kent McMullin with representatives of municipal authorities and PLEDDG Project. 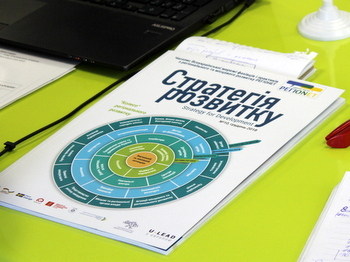 Due to decentralization reform in Ukraine, there appeared more platforms and opportunities for investors in Melitopol. That is why for gaining new knowledge about economic development of our city, our authorities organized a PLEDDG-supported working meeting with Kent McMullin. The purpose of the visit was to discuss opportunities to prepare high quality investment product. Kent McMullin paid a visit to the city council and met with Mayor Serhii Minko. Serhii Anatoliiovych mentioned that for the previous four years, due to decentralization processes, local authorities had managed to implement the planned projects as successful as possible. The expert in his turn gave praise to the city for that Melitopol took quite a high position in the rating of foreign investment journal FDI, in particular, the sixth one. Further, Mr. Kent McMullin gave tips on how to showcase correctly in order to attract investors. The parties also discussed the possible further cooperation. Apart from this, Kent McMullin, paid a visit to Inclusive Resource Center, where, in the conference room, he had a talk with representatives of authorities and PLEDDG experts. First Deputy to Melitopol Mayor Iryna Rudakova made a welcoming address to the attendees. She expressed gratitude to Kent McMullin and other guests for attention given to Melitopol and wished to have an efficient work. 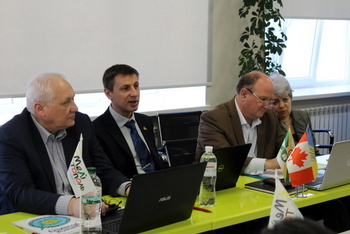 Deputy Mayor Serhii Pryima also took part in the meeting. At start of the event, Oleksandra Hryhorovych, Head of Department for Municipal Marketing and Tourism, shared the general information about Melitopol and its infrastructure. In the course of the discussion, the draft investment passport was presented in order to receive advice on completeness and quality both of the data therein and its design. 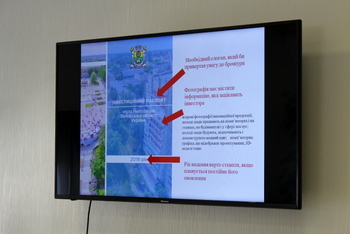 Besides, the attendees considered the issue of economy and finances, social issues, hospitality and tourist products, the issue of international cooperation, investment proposals and the city’s rating indices, and the issues of designing Melitopol’s investment portal. Kent McMullin was curious to have a look at that information and put forward a variant of a contemporary approach to development of investment passport of a city, told the participant how to prepare a good, constructive and relevant city’s brand identity for an investor and how to formulate an investment proposal correctly.